Bradford Bulldogs are celebrating, as a record number of their young players were selected to represent the Northern Conference at the inter conference tournament in Sheffield, which was held over the bank holiday weekend. Altogether 25 Bradford players aged between 9 -16 were successful in making teams at U11s, U13s, U15s and U17s. 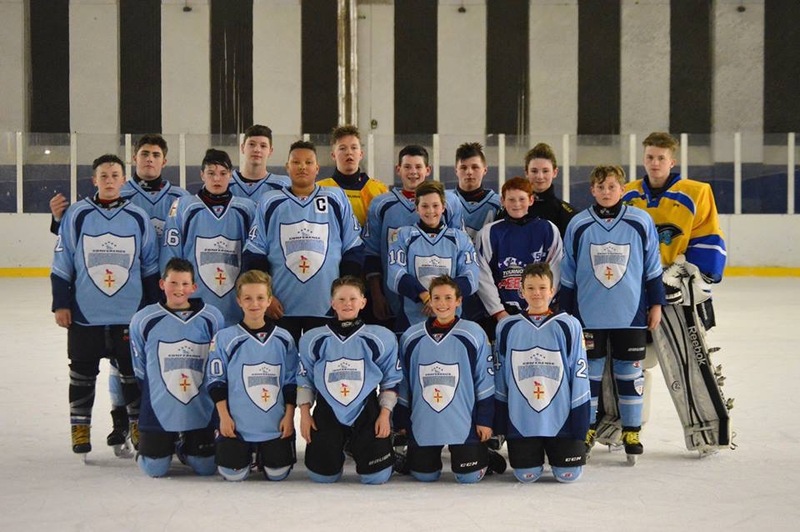 The teams competed against the other regions from S. East, S. West, Midlands and Scotland in the English Ice Hockey Association’s showcase event. 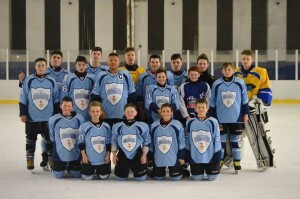 The fact that Bradford Ice Hockey Club is small, with around 50 registered players and has had 25 selected, gives testament to the standard of coaching provided and the ability of the young people involved. 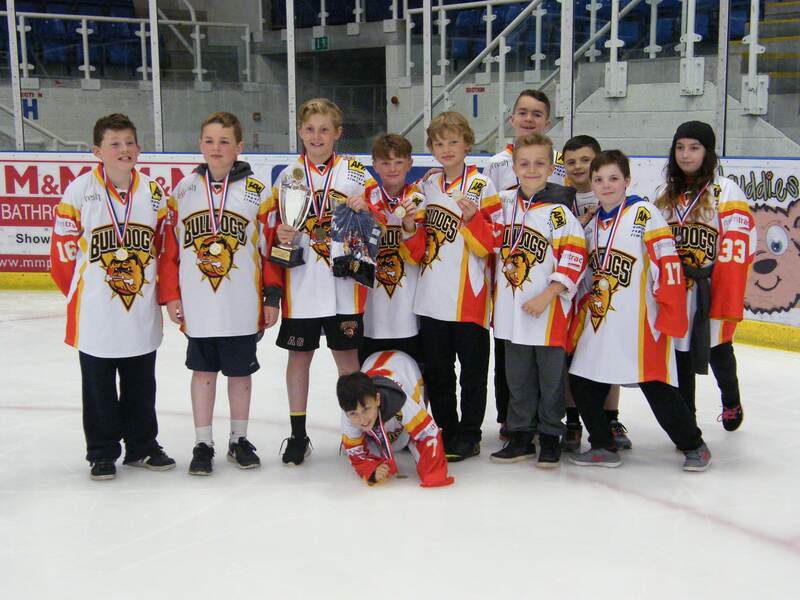 Those selected are part of a dedicated group of players who attend weekly training sessions at Bradford Ice Arena and an annual ice hockey camp and who are now seeing results through their hard work and dedication. 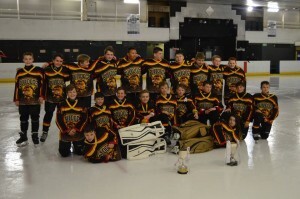 The young people involved are extremely proud at being selected to play for the North and for their part in keeping Bradford’s reputation high. The Club has had a number of successes this year, including one of their players, Kieran Brown, who goes to Thornton Grammar School, being selected for the final 10 in the GB skills competition for the Junior Winter Olympics in 2016.